The Cappuccino Coffee Cat Jumbo Slow Rising Squishy is a 14cm slow rising squishy takes almost 15 seconds to rise. 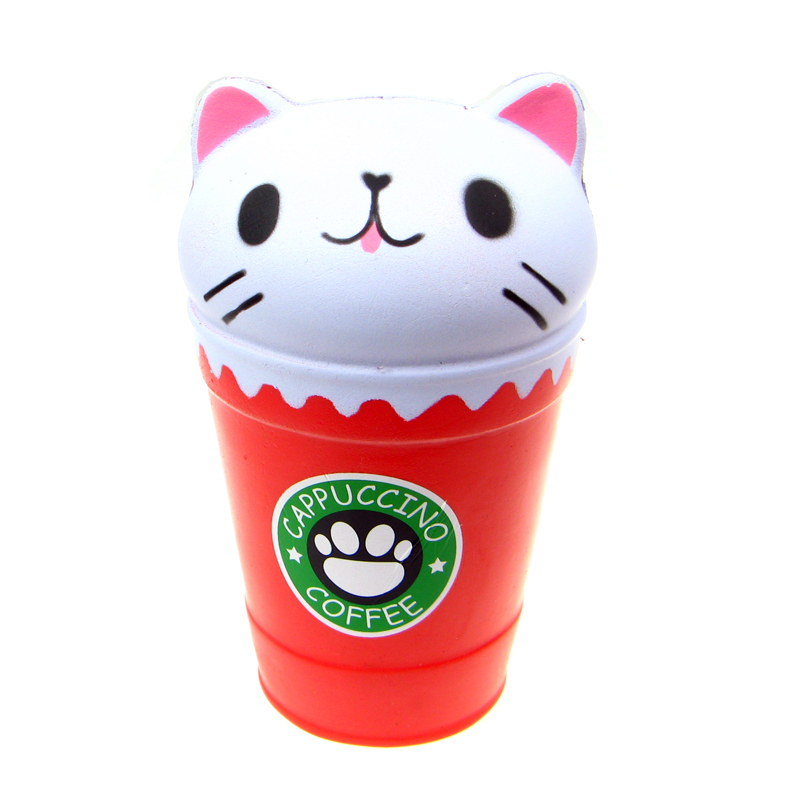 It features a very cute cat sitting on top of a cappuccino coffee cup with the cat paw logo featured on the front of the cup. Great collectable for cat lovers and coffee drinkers. Available in white and brown. Images are for illustrative purpose only. One colour will be sent out at random. 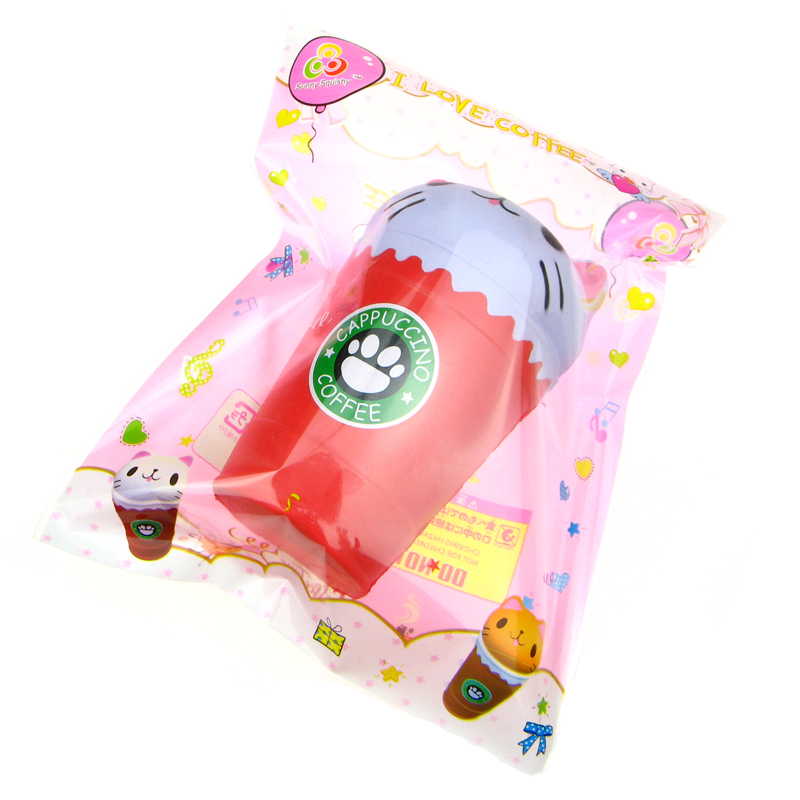 Supplied in a very kawaii cat-themed retail package. This is not a toy but a collectable for adults or over 15 years old. It is not suitable for children under 36 months old due to choking hazards of small parts. Not edible.